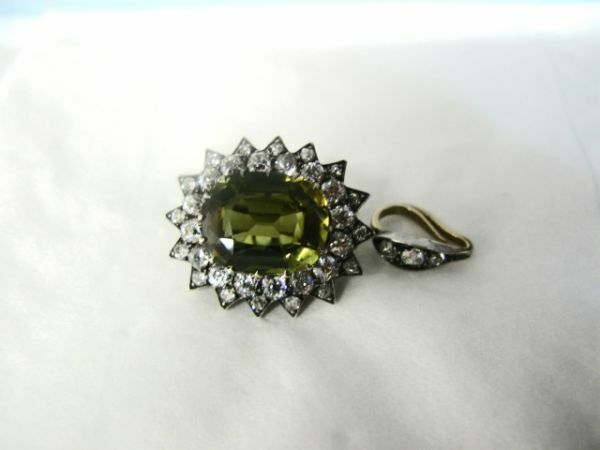 A stunning custom made 14kt yellow gold with silver top brooch or pendant, featuring 1 claw-set oval facetted cut Alexandrite (Chrysoberyl - does not exhibit colour change under different lighting), est. 8.69ct (clarity: LI & colour: medium yellow-green) and 33 claw-set old european cut diamons, est. 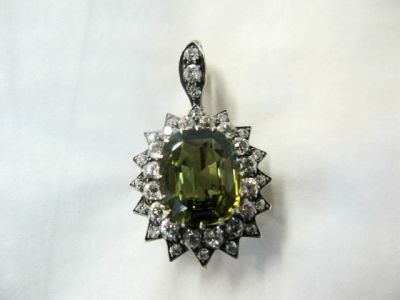 2.08ct (clarity: VS-SI1 & colour: F-G).